Accurately captures vivid hues and soft tones. Each cartridge produces excellent print results. Easy to install. Device Types: Multifunction Laser Printer; Color(s): Black; Page-Yield: 5000. 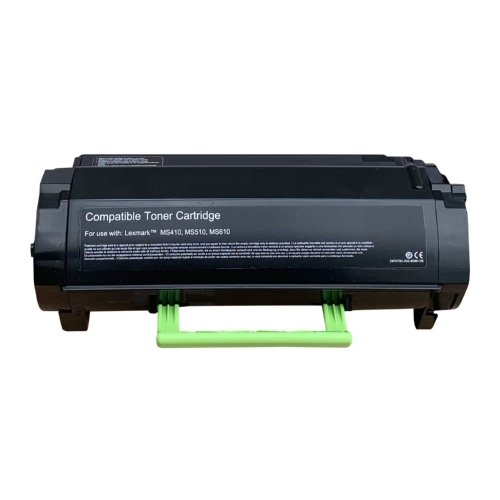 OEM toner for Lexmark™ MS310D, MS310DN, MS410DN. OEM drum for Lexmark™ MX611de, MX511de, MX410de, MX611dhe, MX610de, MX511dhe, MX510de, MX310dn, MX511dte, MX611dte, MS610de, MS610dn, MS510dn, MS410dn, MS310dn, MS310d, MS610dtn, MS610dte.